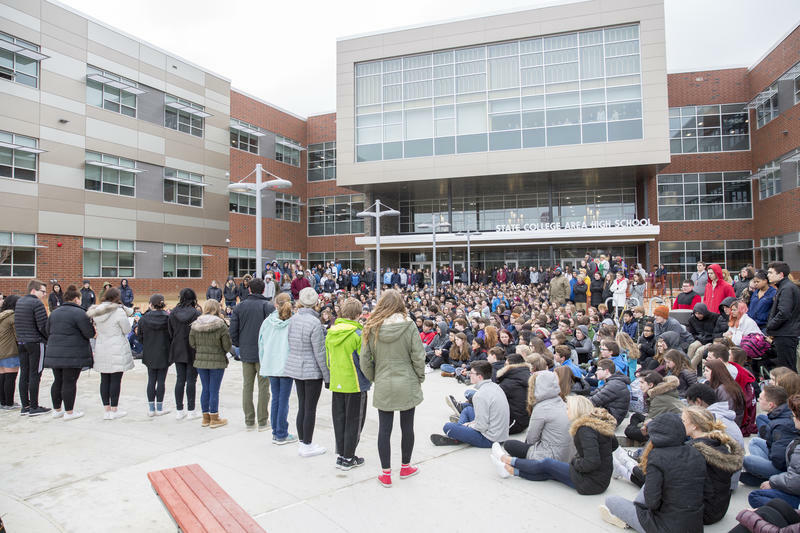 About 300 State College High School students attended a memorial in rememberance of the victims of the Parkland Shooting in conjunction with the National School Walkout. State High students having a moment of silence. State High senior Kayla Fatemi, one of the organizers, said to make the memorial more inclusive to everyone, they focused the gathering on raising awareness for school safety, instead of raising a political message. “After what happened at Stoneman Douglas, we as students wanted to get involved within our school and community to make whatever kind of a difference we can. 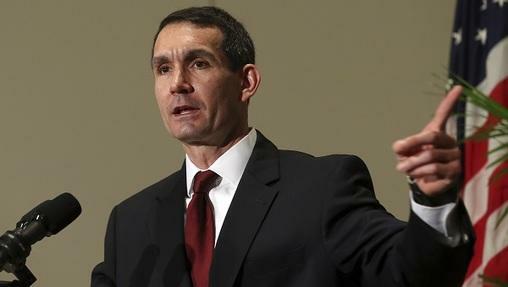 While it was clear from the beginning to us that, as a public school, our administration cannot advocate for any political agenda, there is no reason it cannot endorse the hope, which all Americans share, in wanting schools to be a safe place,” Fatemi wrote in a statement. Sophomore student Kyra Gines said the Parkland tragedy hits home for her because Parkland is considered a safe town, just like State College. 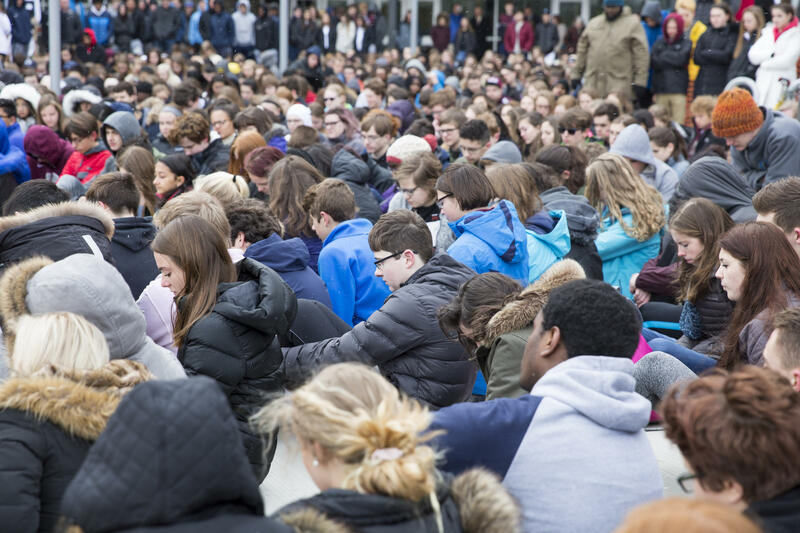 Students were given the option to attend the memorial, stay in their classroom to write cards and letters, or use the 25-minute period to study. State High students observing the memorial from inside the building. State High Principal Curtis Johnson said he is proud of the student body. “I’m glad to come to a common goal, to memorialize these students. It’s very powerful,” he said. The Delta Program, Park Forest Middle School, Mount Nittany Middle School and State College Area School District elementary schools also had various activities to address school safety on Wednesday. 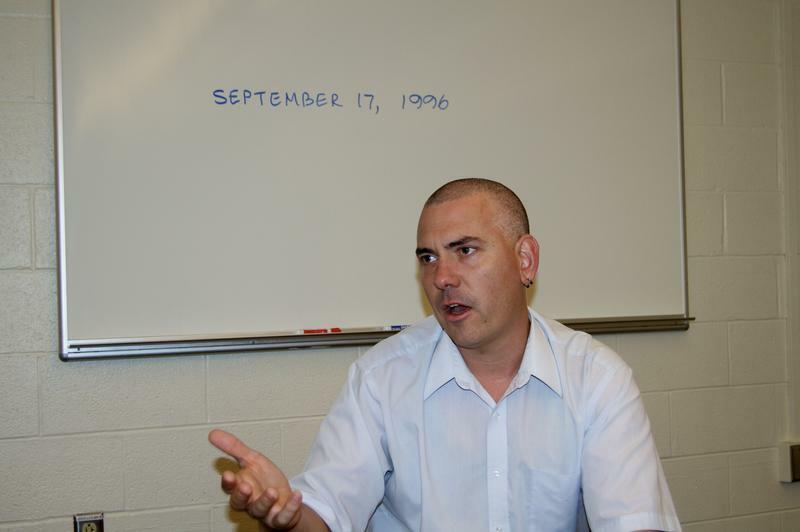 A handful of other school districts in the area arranged activities for students to participate in the classroom. 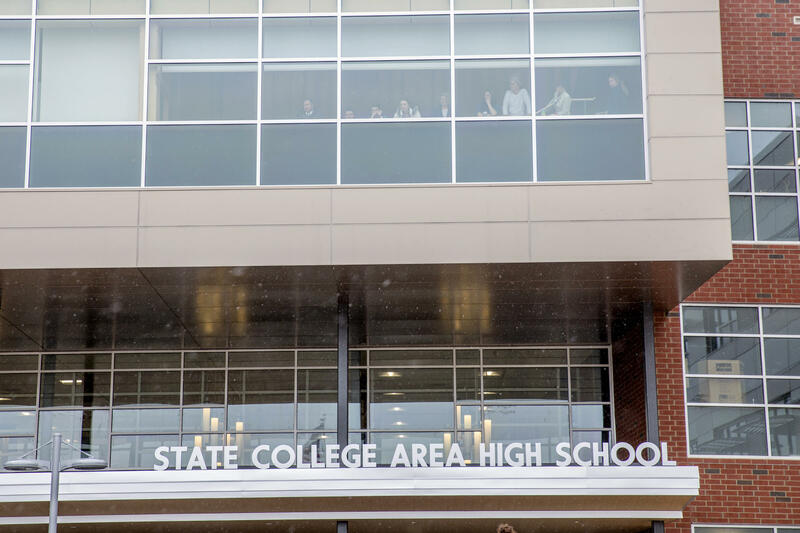 State High students will lead a non-school-affiliated march on the 24th in State College. It’s a sister march with “March For Our Lives” in D.C.